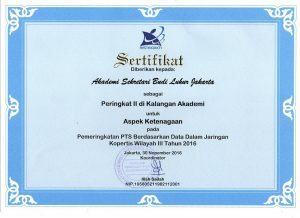 Budi Luhur Academy of Secretary ranked second in the aspect of Workforce among the Academy Networking Kopertis Region III. The award was given to private universities that have made efforts in improving the quality of the Institutional, Student and Workforce Aspects. Academy Secretary Budi Luhur in 2013 was also named as a smart campus that applied ICT (Information Communication Technology) in the educational process. 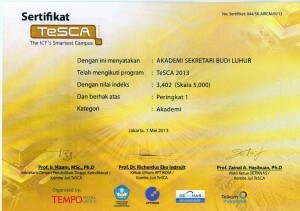 The award was achieved through a national competition called TeSCA (Telkom Smart Campuss) in 2013, followed by 551 universities in Indonesia, consisting of 59 universities and 492 private colleges, covering all types of public universities, namely colleges (99 campuses), institutes (29 campuses), technical colleges (45 campuses), high schools (201 campuses), and universities (177 campuses) spreaded in 26 provinces. 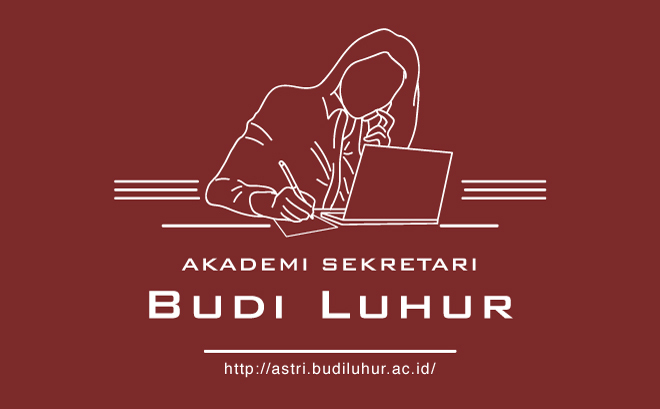 Budi Luhur Academy of Secretary was also rewarded as the LEADING PRIVATE COLLEGE by the Ministry of Education and Culture through the Office for the Coordination of Private Universities (Kopertis) Region III Jakarta inDecember 2012.